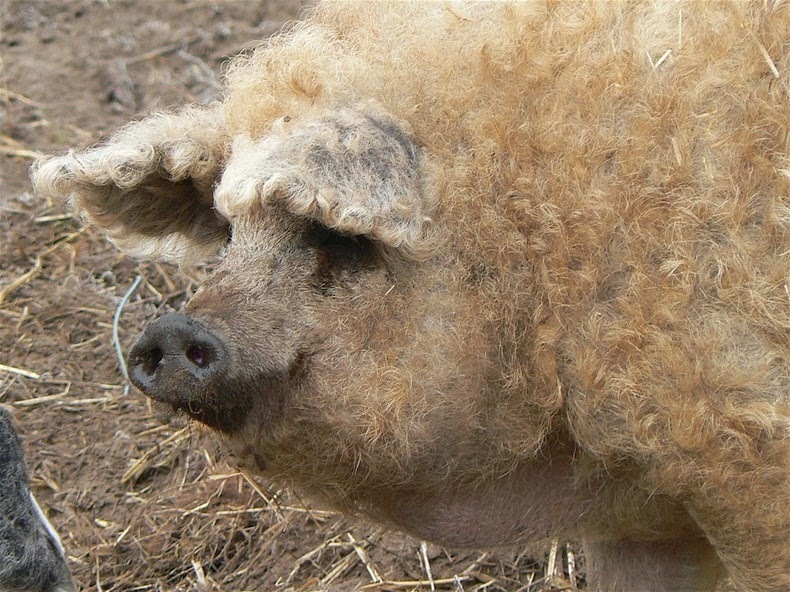 Mangalitsa does not require special care and has good fattening ability. In fact, the Mangalitsa is one of the fattiest pigs in the world with fat accounting for 65% to 70% of its body weight. Its meat is considered among the tastiest pork in the world. The meat of the Mangalica pig is reddish, highly marbled with creamy white fat, and is high in omega-3 fatty acids and natural antioxidants. This is due to the natural diet of forage, wheat, corn and barley. 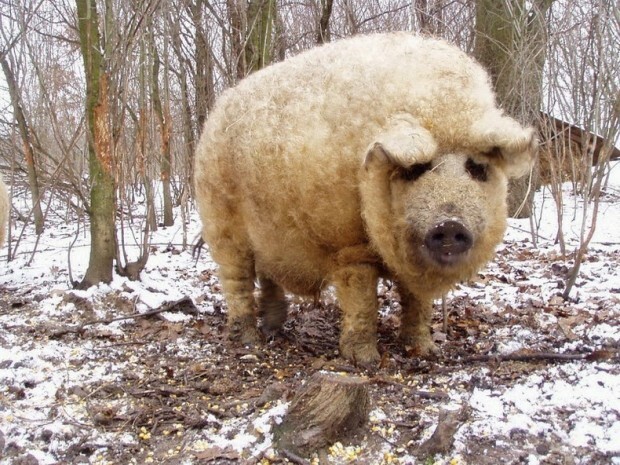 Mangalica lard is lighter, and melts at a lower temperature, than lard from other pigs, because it contains more unsaturated fat. 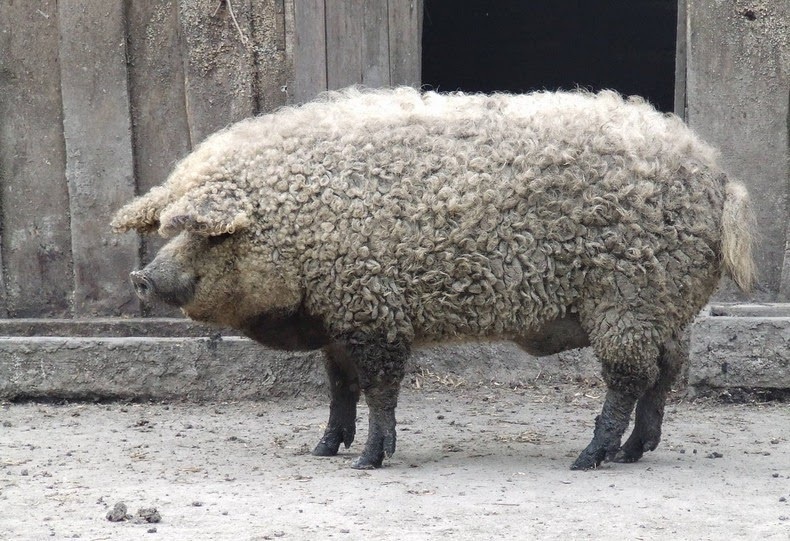 From the beginning of the 19th century until 1950 it was the most popular swine breed in Hungary. The fat, bacon and its salami were demanded products in the European market. 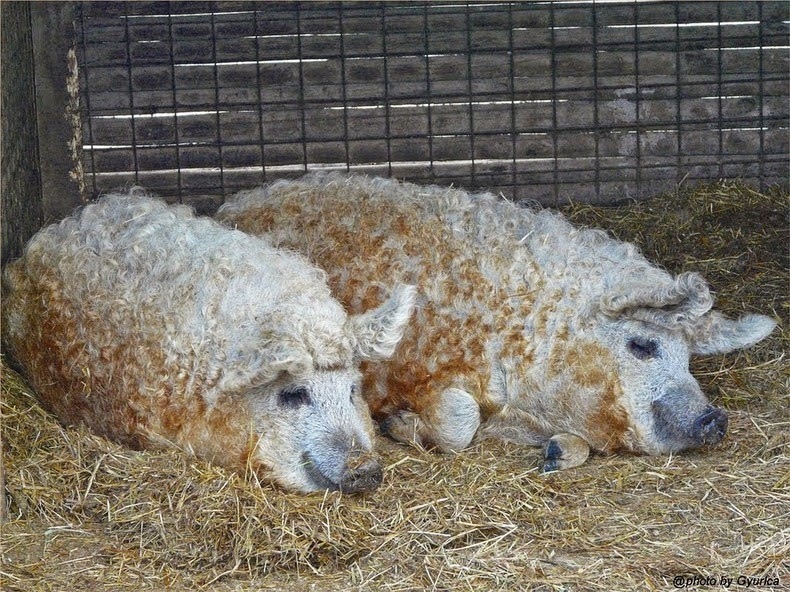 The lard from Mangalitsa was also used as cooking fat, and in production of candles, soap and cosmetics. This was a time before vegetable oils were introduced. Even industrial lubricants and explosives were produced from this valuable fat. 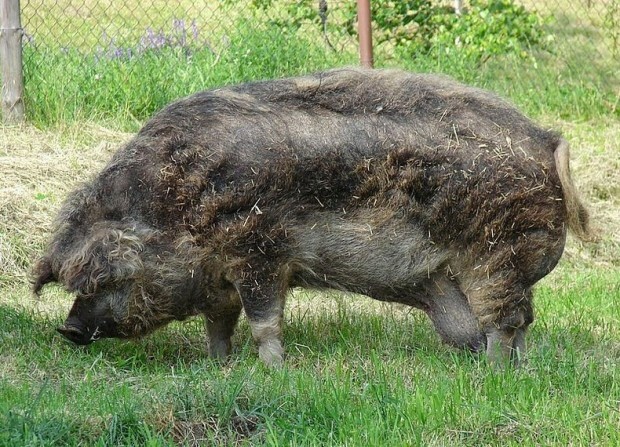 The lard type hog fell from favor in the mid-20th century when people learned that saturated fats were dangerous to health. The breed rapidly declined and was replaced with leaner and more rapidly growing breeds with more meat and less fat. 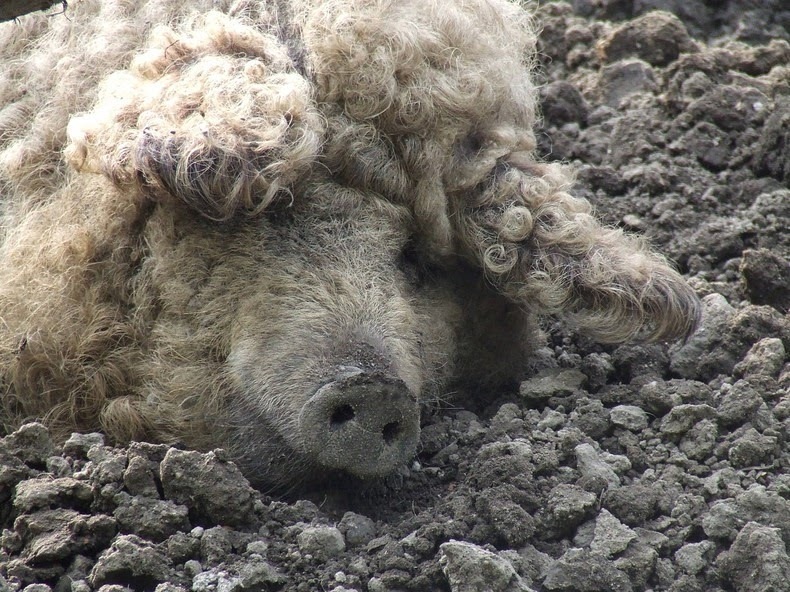 By the end of the 1970s Mangalitsa pigs in Austria could only be found in National Parks and Zoos, and less than 200 breeding sows remained in Hungary. 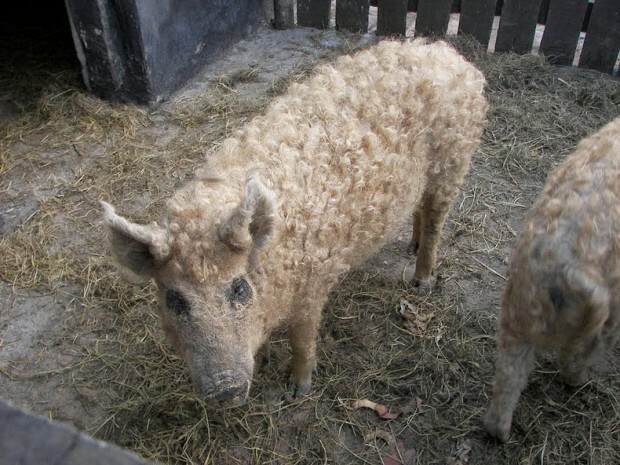 But in the mid 1980’s interest for the Mangalitsa breed was renewed and in 1994, the Hungarian National Association of Mangalica Pig Breeders was established to protect the breed. Over the next 20 years, traditional Mangalica sausage with sweet paprika became available in the Hungarian markets again. Today there are more than 8,000 breeding sows in Hungary producing 60,000 animals each year. This still makes a very special and limited breed, but well out of the danger zone for extinction.